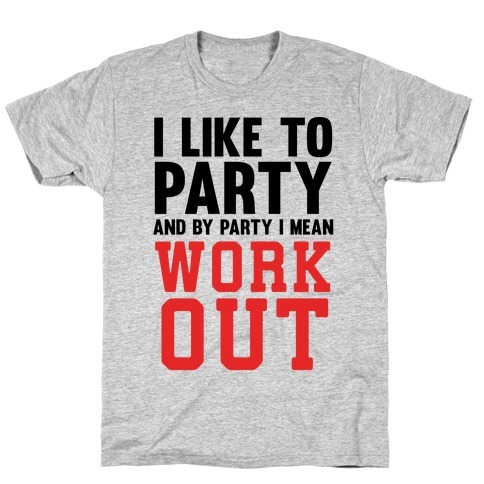 Browse our collection of 14 Sunday Funday T-shirts, Mugs and more. Designed and printed in the USA. 100% Satisfaction Guaranteed. About this Design You gotta have brunch! 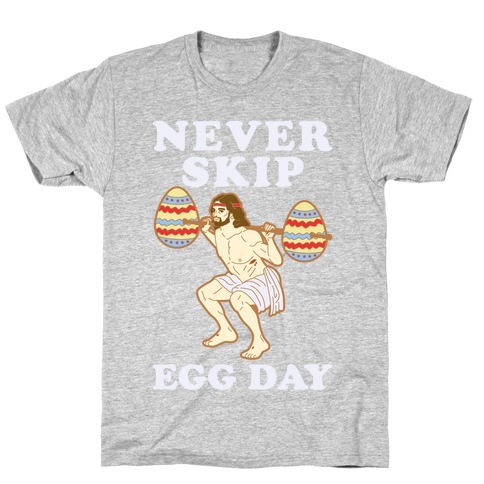 But it's always burpees before brunch! 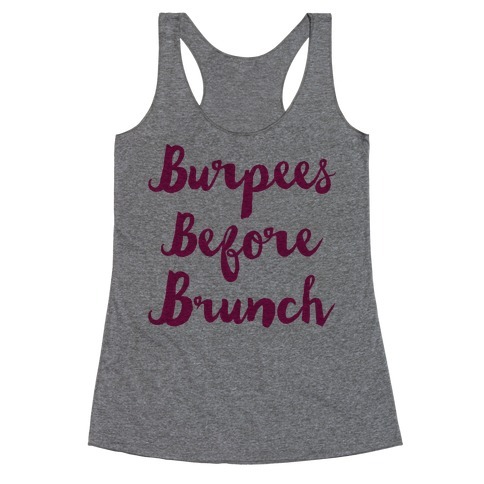 Get in your pre-brunch burpees and workout then go ham at the brunch buffet and bottomless mimosas in this cute, athletic, workout, brunch shirt! You gotta have brunch! 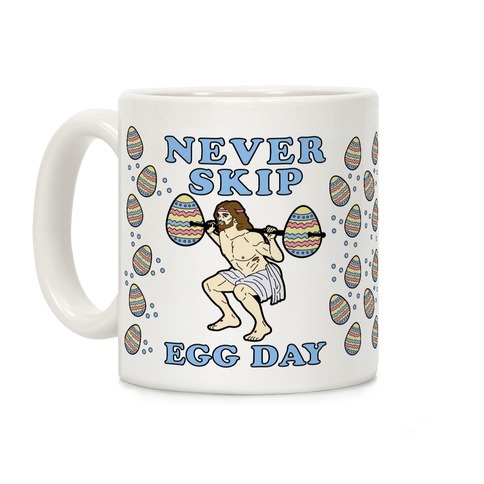 But it's always burpees before brunch! 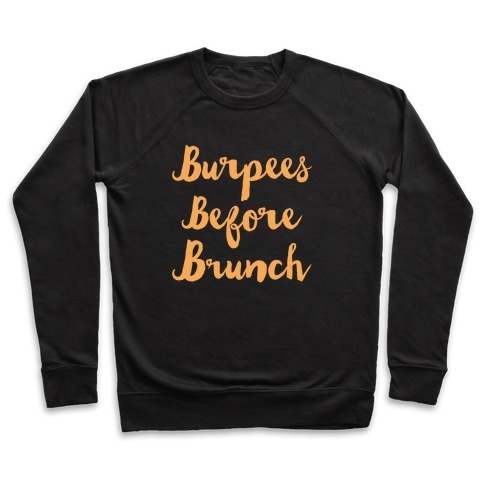 Get in your pre-brunch burpees and workout then go ham at the brunch buffet and bottomless mimosas in this cute, athletic, workout, brunch shirt! About this Design Show that you are one person with three loves in this coffee, yoga and nap themed top. This shirt featuring the phrase "Yoga Coffee & Naps" is perfect for the yoga studio, a coffee date, or a lazy Sunday. Show that you are one person with three loves in this coffee, yoga and nap themed top. 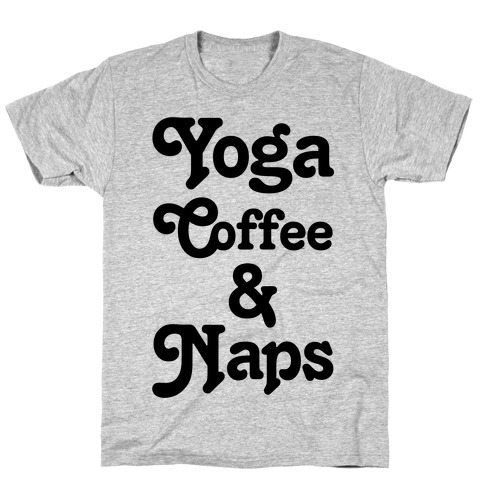 This shirt featuring the phrase "Yoga Coffee & Naps" is perfect for the yoga studio, a coffee date, or a lazy Sunday. About this Design For some, fall is all about coming to together to enjoy a good football season. 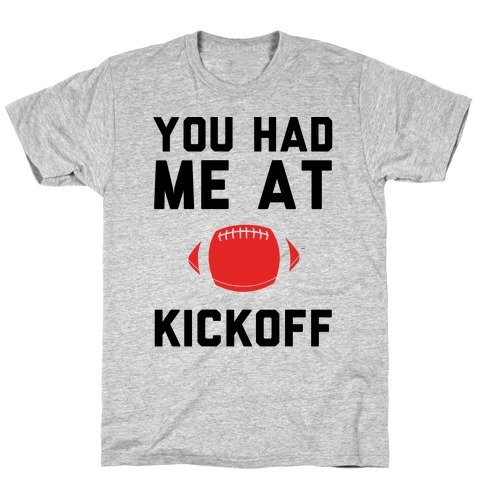 This football design features the text "You Had Me At Kickoff" with a football . Perfect for football lovers, sports fans, super bowl parties, Sunday football, football loving couples, watching the game with your friends! For some, fall is all about coming to together to enjoy a good football season. This football design features the text "You Had Me At Kickoff" with a football . Perfect for football lovers, sports fans, super bowl parties, Sunday football, football loving couples, watching the game with your friends! About this Design Every Night Is Football Night when you're a diehard fan! This football t shirt is perfect for any day of the week that you want to show some love for your favorite sport. Gear up this season with this classic sports-themed tee! Every Night Is Football Night when you're a diehard fan! 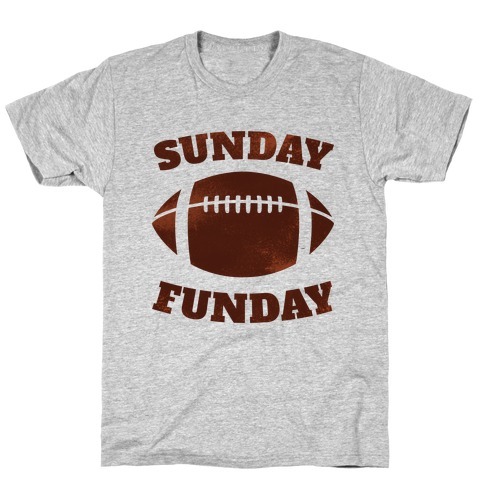 This football t shirt is perfect for any day of the week that you want to show some love for your favorite sport. Gear up this season with this classic sports-themed tee! About this Design Are you ready for Sunday Funday? Get your gameday style right with this shirt for people who love football! Whether you're tailgating or around the house, this shirt will get you through football season! Are you ready for Sunday Funday? 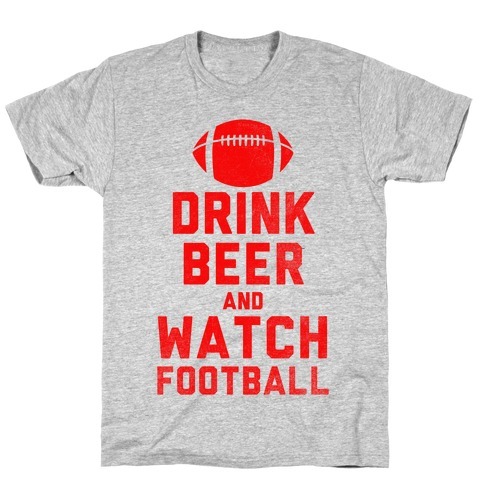 Get your gameday style right with this shirt for people who love football! Whether you're tailgating or around the house, this shirt will get you through football season! About this Design Perfect for the football loving family! Start them off young with this one-piece perfect for sunday funday! Perfect for the football loving family! Start them off young with this one-piece perfect for sunday funday! 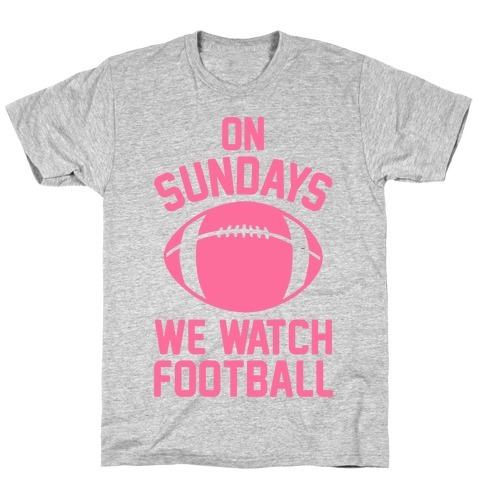 About this Design This cute girls football shirt is the perfect mean girls parody and football quote "On Sundays We Watch Football." With a mean girls shirt like this, you'll be all set to watch the big football game on Sunday, or go tailgating, or shotgun some beers and cheer for you favorite football team. This shirt is great for fans of classic movie quotes and football shirts. 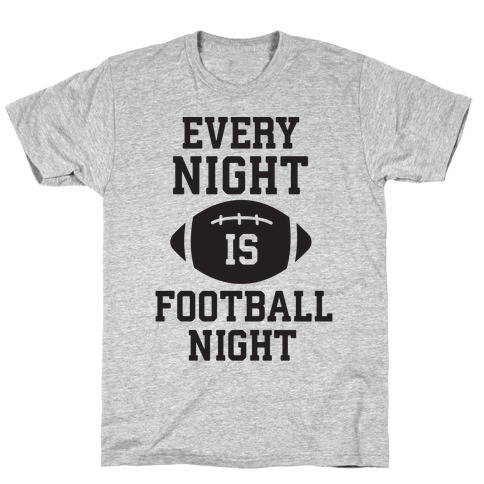 This cute girls football shirt is the perfect mean girls parody and football quote "On Sundays We Watch Football." With a mean girls shirt like this, you'll be all set to watch the big football game on Sunday, or go tailgating, or shotgun some beers and cheer for you favorite football team. This shirt is great for fans of classic movie quotes and football shirts. 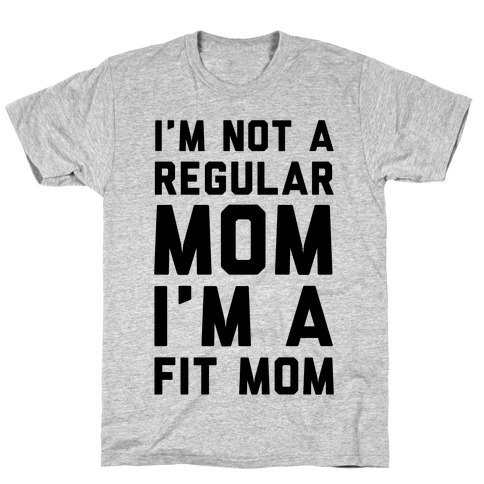 About this Design I'm not a regular mom, I am a fit mom! for the mothers and mommies out there who love to workout, lift weights like barbells, dumbells and kettlebells, this great mom workout shirt is perfect to keep fit. You know what it means to workout and raise kids so flaunt everything you are able to do with your body and your family! I'm not a regular mom, I am a fit mom! for the mothers and mommies out there who love to workout, lift weights like barbells, dumbells and kettlebells, this great mom workout shirt is perfect to keep fit. You know what it means to workout and raise kids so flaunt everything you are able to do with your body and your family! About this Design Dude, I don't need your validation to do anything regarding myself and what I do with my body, that includes working out, fitness, and exercising. When it comes to lifting especially, I don't need your opinion to out run you. If you are a woman who doesn't need the opinion of misogynists to be strong , this awesome, "I Don't Need Your Validation to Outlift You" workout shirt is perfect to wear for your training session to smash the patriarchy. Dude, I don't need your validation to do anything regarding myself and what I do with my body, that includes working out, fitness, and exercising. When it comes to lifting especially, I don't need your opinion to out run you. 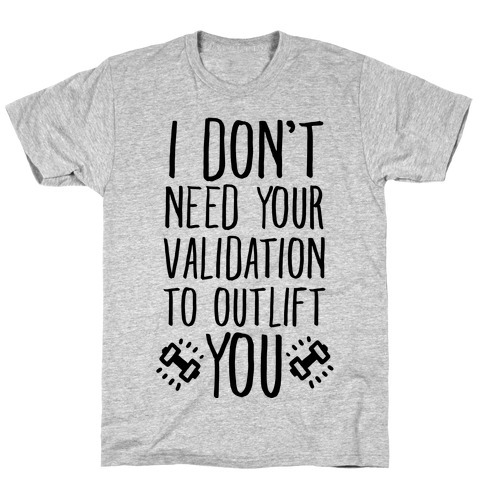 If you are a woman who doesn't need the opinion of misogynists to be strong , this awesome, "I Don't Need Your Validation to Outlift You" workout shirt is perfect to wear for your training session to smash the patriarchy.